The Happy Camper Bucket List is about the two things we love the most… traveling and RVing! Each episode, we explore a new destination and showcase the best activities and fun experiences. We also try out a brand-new RV while visiting one of the area’s best campgrounds. Come along with us, Camping World, and Isaac Arron Media and let us help you add these wonderful destinations to your happy camper bucket list! We kick off the Happy Camper Bucket List in the birthplace of our nation. The Historic Triangle in Virginia allows visitors to transport back to colonial times. It’s easy to imagine what life was like because the sites are considered living history museums. The Historic Triangle is located on the Virginia Peninsula and is made up by the three towns of Jamestown, Williamsburg, and Yorktown. 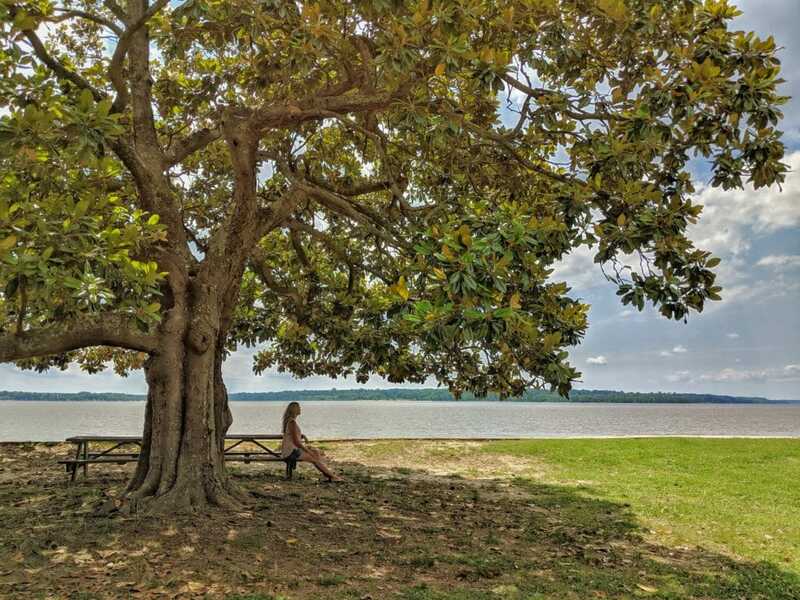 These historic sites are all connected by the Colonial Parkway, making it easy to get around. Each location offers an immersive experience and glimpse into early life in America. If you’re coming to this part of the country, you’re going want to see each of the three historic sites. In 1607, the first permanent English settlement in the new world was established at Jamestown along the James River. 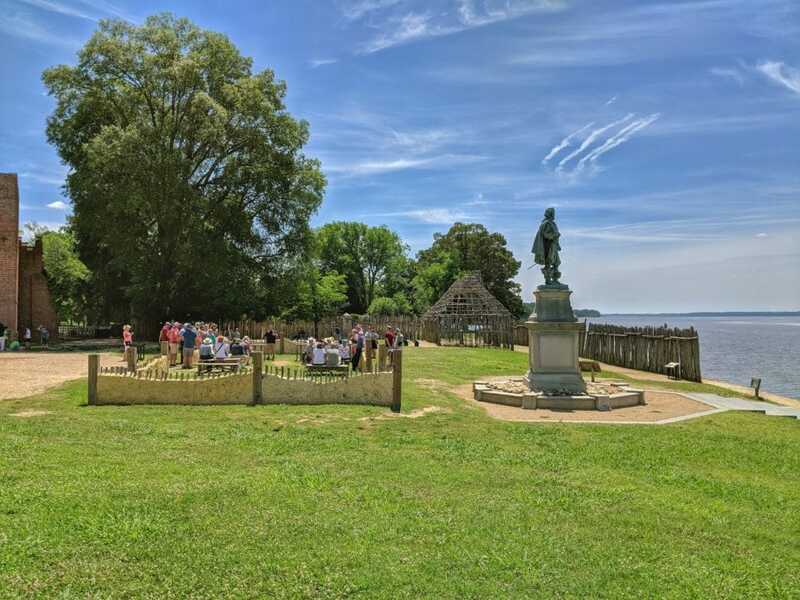 Jamestown served as the capital of Virginia until 1698 when it was moved to Williamsburg. Today, there are two primary attractions in Jamestown – Jamestown Settlement and Historic Jamestowne. Jamestown Settlement is a living history museum that features a replica of the original James Fort, an Indian village, 3 replica ships, and of course, costumed actors working hard to transport you back in time. We visited Historic Jamestowne during the filming of this episode and it was incredible. Historic Jamestowne is a National Historic Site and is the actual location of the original James Fort. For many years, James Fort was believed to be lost forever, washed away into the James River, but in 1996, Dr. Kelso discovered the first of hundreds of thousands of artifacts from the original James Fort. Today, Historic Jamestowne is an active archeological site (they are still excavating the site) and something you can’t miss. You can even stand in the very spot that Pocohantas married John Rolf! Another thing we really loved about this spot is just how beautiful it is. You can simply get lost in the river views and lush vegetation. The onsite cafe is really good, too. Colonial Williamsburg is a living history museum that recreates life in an American colonial city in the 18th century. Simply walking around Colonial Williamsburg is a treat as you will see costumed actors, horse-drawn carriages and restored period buildings century all pleasantly integrated with modern amenities. Dog Street Pub is a great English pub to grab a bite and a pint to rest up from all of the walking you’re sure to do! You’ll continue through time when you visit Yorktown. Yorktown is where the last battle of the Revolutionary War was fought. General Charles Lord Cornwallis’s army was overtaken by George Washington, triggering the end of the war and the beginning of a free country. 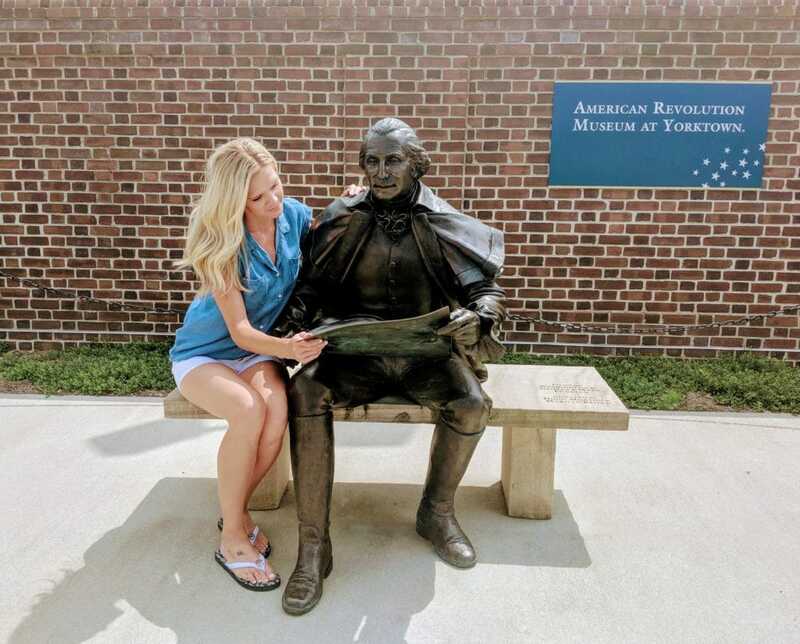 Our favorite part of Yorktown was visiting the American Revolution War Museum at Yorktown where you can really experience what life would have been like during that time. There’s a Continental Army encampment that depicts life as a soldier during the war and a revolution era farm to show how those that weren’t fighting survived. Both of these experiences let you “live” history and are really unique experiences. 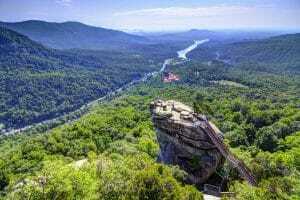 Camping and history don’t always seem to go together, but there are many great campgrounds located near Virginia’s Historic Triangle. In this episode, we visit the KOA Williamsburg/Bush Gardens. This campground was huge and had large sites and cabins. It was clean, had beautiful trees, and nice amenities including a big pool and a game room. This KOA was one that we would like to return to in the future! One of the best parts about the Happy Camper Bucket List is that we get the chance to check out a new RV each episode. In this episode, we hang out in an Atlas Travel Trailer. This trailer has a nice layout and a really big kitchen that made it easy to cook. The outdoor storage was pretty good as well. All in all, we felt like this camper would be perfect for anyone, especially those with small children, that love enjoying the great outdoors. Have you spent time at any of these amazing locations? What were your thoughts? Leave us a comment below!